Since commencement, our company has set benchmark in offering Industrial Fabrication to the clients BB. Our company is highly esteemed in rendering Industrial Oven Fabrication Service. We are dealing into general Stainless Steel Fabrication like tanks, trolleys, reactors, vessels, etc. These can be availed from us at industry leading prices and can be customized according to the customer requirements. In order to cater the diverse requirements of our clients, we are engaged in offering Truss Fabrication Services all over the country. These services are finely executed by the team of trained and efficient workers of the industry with complete loyalty and concentration towards their work to offer hurdle free services. 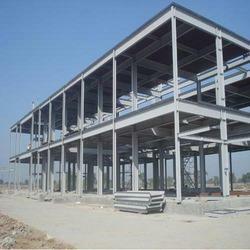 Best quality of Industrial Fabrication Service is provided by us to customers as per their requirements. Welding is the main focus of steel fabrication. The formed and machined parts will be assembled and tack welded into place then re-checked for accuracy. 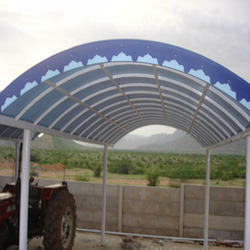 Our company is master in providing Hoarding Fabrication Service.